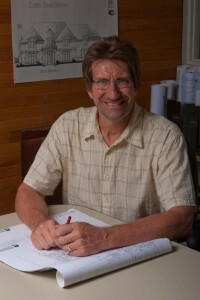 Ron Stallbaumer attended Kansas State University and is licensed to practice architecture in Kansas, Missouri and Colorado. Ron is a member of the American Institute of Architects, NCARB certified (National Council of Architectural Registration Boards) and is a LEED AP (Leadership in Energy and Environmental Design Accredited Professional). A successful work of architecture is the carefully crafted result of rigorously studying and practically addressing each involved factor. Of all factors involved, none is significant as the person of the client and the life and character they bring to the spirit of the project. Ron is an accomplished carpenter. His architect wife, their two daughters and he have never lived in a home that wasn’t experiencing some sort of construction.